TG Therapeutics Inc (NASDAQ:TGTX) is a big runner this week, with the company up close t 90% during Monday’s session alone out of the US. Chances are we’ll see some degree of correction heading into the US open today, but as an overarching trend, it looks as though the company will retain its strength. Looking beyond the price action, what drove the gains, and what are we looking for next from the company as reinforcing an upside bias? So, the run comes on the back of the release of some data from a leukemia study, with the drug in question being TG Therapeutics Inc (NASDAQ:TGTX)’s lead development candidate. The drug is called TG-1101, and it’s part of a family of drugs called monoclonal immunomodulators. By way of a quick overview of the drug’s mechanism of action (MOA), we’ve got a phosphoprotein (which is a type of surface antigen) on our B cells called CD20. TG-1101 binds to this phosphoprotein, and (theoretically) induces a B cell-directed complement dependent cytotoxicity (CDC) and antibody-dependent cell-mediated cytotoxicity (ADCC) against CD20-expressing B cells. That sounds pretty jargony, but it’s relatively simple in terms of concept – the response is designed to induce B cell apoptosis, or in other words, to get the B cells to kill themselves. Leukemia is a type of blood cancer that affects the B cells, so by killing off these cells, the theory is that the drug can contribute to the removal of the leukematic cells. So, the latest trial was looking at using the asset in combination with an already approved cancer therapy drug called Imbruvica. This one is used in a host of different types of cancer, and the goal was to show that by combining it with Imbruvica then the therapeutic effect would amplify. The trial, therefore, was set up with one arm of patients taking the combination of Imbruvica and TG’s TG-1101, and a second arm taking just the already approved drug. As readers might already have concluded based on the action seen in the stock, the trial came up trumps. The endpoint was to show an improvement in overall response rate by at least 20 percent between the two groups of patients. As per the just released numbers, the absolute difference between the two groups was about 30 percent. These numbers derived from an OR rate of 80% in the active arm (so the arm that was taking the combination therapy) and an OR of 47% in the control arm (so the arm that was taking just the already approved asset). It’s a phase III trial, called GENUINE, and the company is hoping that the data produced will support an application to the FDA. That is, support a successful application. Further, TG Therapeutics Inc (NASDAQ:TGTX) is going to meet with the agency to try and hammer out an accelerated approval pathway. We think that the drug should have no real problem getting approved based on the data seen in the study (as a side note, safety has proven no real issue, and this is a complimentary therapy in an already rough treatment combo, so it was never really going to be too much of a sticking point outside of something completely unexpected), so the forward path is all about time to approval. These are high risk patients, and any asset that can improve treatment efficacy to the rate that 1101 seems to should be near the top of the list for a quick turnaround. Combine this with the macro political forces that are calling for a more streamlined approval process in the US right now, and things look good for an AA thumbs up. If this is the case, then we could see the asset hit the shelves at sometime late summer. That’s optimistic, sure, but its far from unrealistic when all factors are taken into consideration. There’s also a couple more indications under investigation with this asset, so there’s plenty in the way of catalysts between now and revenue generation on 1101. 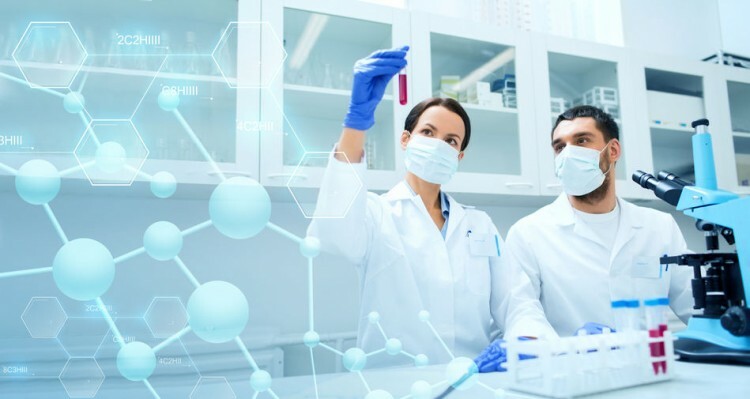 Couple this catalyst driven potential with the chances of a takeover (this company has now become a real valid target in the wake of this data) and TG Therapeutics Inc (NASDAQ:TGTX) becomes a stock to keep an eye on as we head into the second quarter of 2017 and beyond.